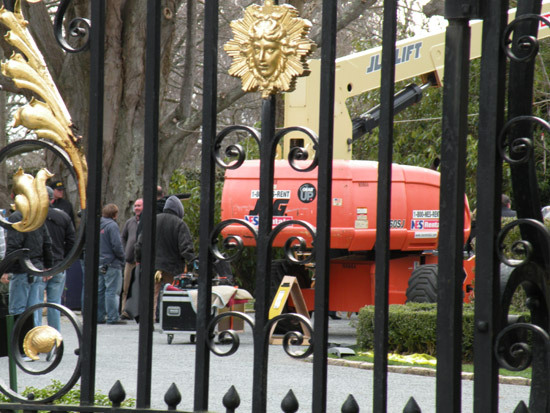 The new ABC pilot Body of Evidence was filming scenes in Newport in March, across the street from one of my favorite Newport mansions, Marble House. The procedural drama will star Dana Delany, (best known for her roles on Desperate Housewives and China Beach) as medical examiner Megan Hunt. Jeri Ryan (Star Trek Voyager and Boston Legal) will play her boss and chief medical examiner. Check out the guy on the left under the light wearing the suit. I'm not sure of his name, but I know I've seen him on TV or in some movies before. I don't think there were any Jeri Ryan or Dana Delany sightings, but hopefully they'll return in the future to shoot some scenes here. 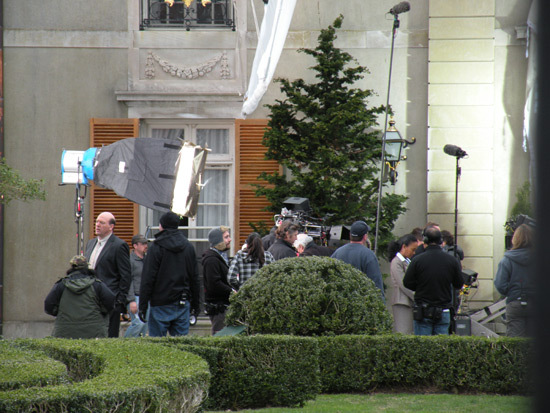 The "City by the Sea" has been, and continues to be a favorite location for Hollywood producers. How could they not fall in love with and want to shoot scenes here? 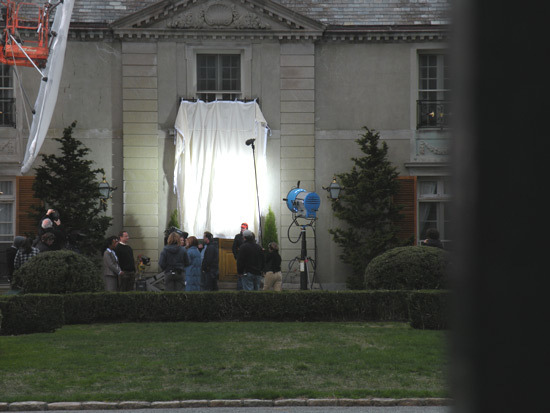 The history, architecture, Newport mansions and breathtaking ocean views make this city an attractive destination for filming. And hopefully many more to come in the future!